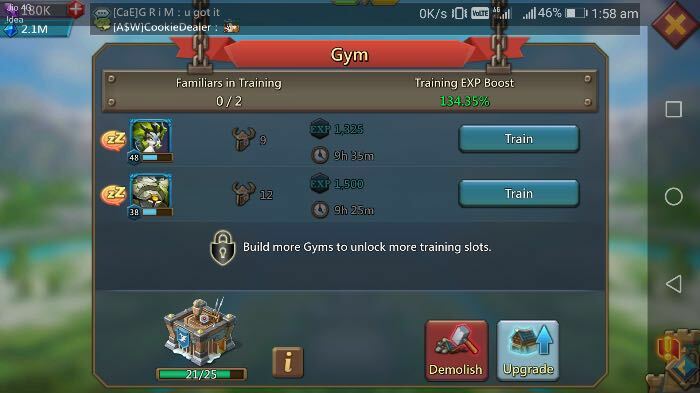 How Many Gyms We Need for Training Familiars? Are you using your gym perfectly? 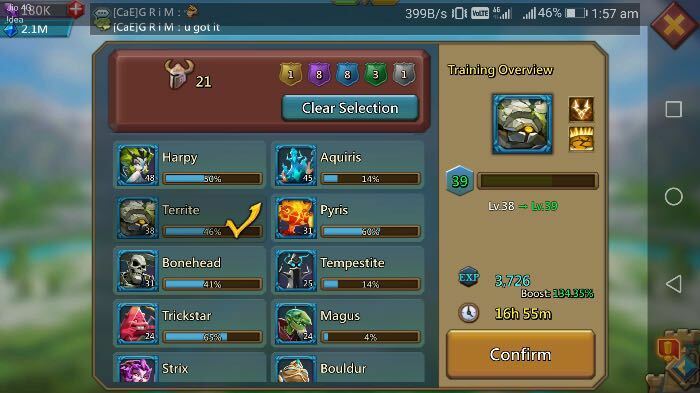 Here are 2 pics 1st is about using full time in 1 familiar only & 2nd is using almost 50% in 2 familiar. So many players are doing like shown in 1st pic that's completely wrong, because you'll miss a lot of experience for same time. So have minimum 2 gyms atleast. I'll show comparison and how much you missing, 1st pic 16 hours 55 minutes 3726 experience. 2nd pic combination of both 9 hour 35 Min total experience 2825. And look the time of 1st it's almost double. So in 19 hours with 2nd pic I can get 5650 experience or if you want me to compare with 16 hours 55 Min it'd be 4991 for me. And yes this is example of mine with my stats research, heroes and gyms, this experience got can vary for you a little bit. "But the gyms work same for all & 1 gym 1 training means minimum 2 hours it'd increase by doing research. And that much time without heroes don't give more experience so don't rush into too many gyms aswell." 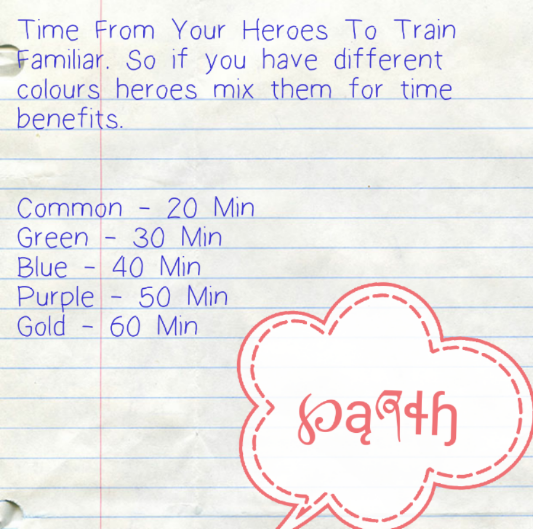 Number of heroes affect the training experience per hour received from the 1 gym, but for each gym it'd be counted separately. 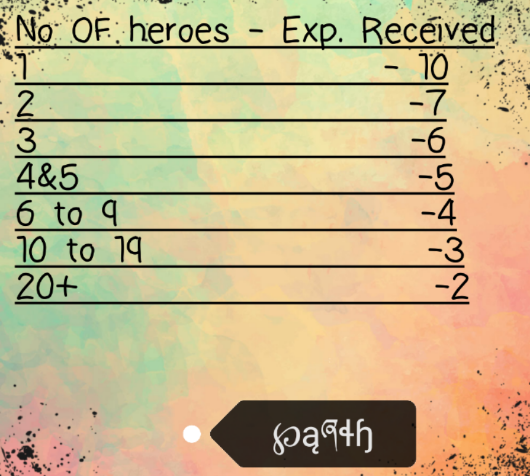 Here when it's said about experience receivable from heroes per hour the number of heroes matter only for calculation of experience however the heroes colour have impact on time. 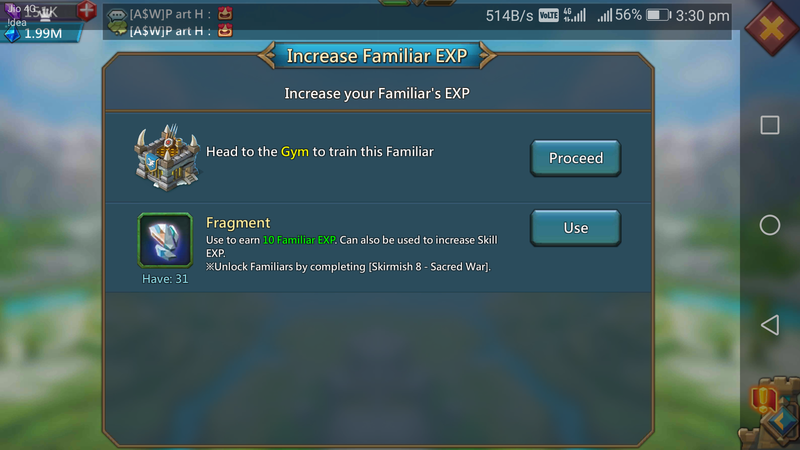 Except Gym you can train Familiars with fragments also for each fragment you will receive 10 experience which is not advisable from my side.